1 Cruella De Vil from "101 Dalmatians"
2 Scar from "The Lion King"
3 The Queen from "Snow White and the Seven Dwarfs"
4 Maleficent from "Sleeping Beauty"
6 Big Bad Wolf from "The Three Little Pig"
7 Pete from "Micky Mouse "
8 ​Professor Norton Nimnul from "Chip 'n Dale Rescue Rangers"
9 Dr. Facilier from "The Princess and the Frog"
10 Sid Phillips from "Toy Story"
11 Captain Hook from "Peter Pan"
Disney is a hot bed of creativity and fun. They are famous for turning furry animals into likeable animated characters that are a heartthrob in many homes. 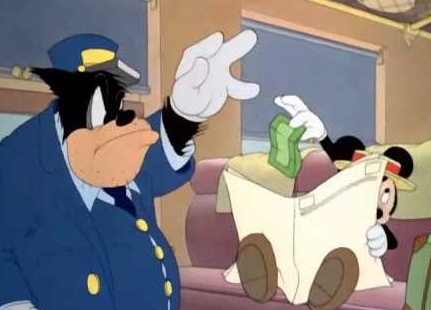 However, there is another side to Disney that people often overlook - the bad to the bone villains it has churned out. Disney wouldn’t be the same without these pure evil characters. 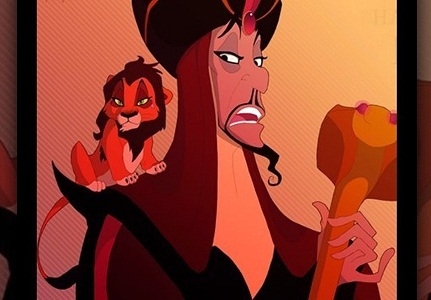 Below is a list of some of the most famous evil Disney characters. While there are a dime a dozen evil Disney characters, there are those who stand out and remain forever etched in our minds. Here are the top 12 villains. 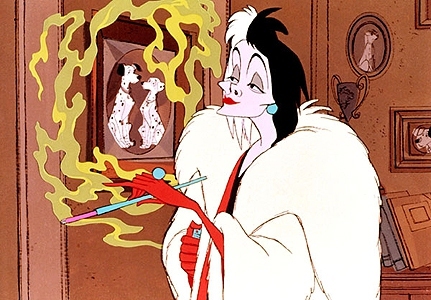 Cruella, as her name aptly describes, is one of the cruelest among the Disney villains. The fur obsessed woman will do anything to get her hands on any animal she wants in order to make her coats. Once she sets her eyes on the beautiful Dalmatians, she makes it her number one priority to capture them. Her evil is rather apparent in the quest to capture the Dalmatians. 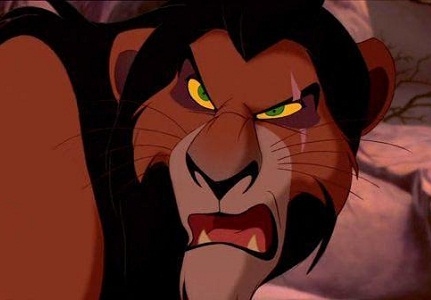 Scar from "The Lion King"
Mufasa, the brother to the king, will do anything to ascend to Mufasas throne, including murder his own brother. He forms an alliance with the evil hyenas and manages to drive out Simba, his nephew and heir to the throne, after he kills his father. He assumes the throne after this heinous act. 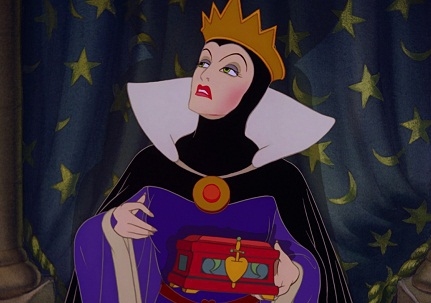 The Queen from "Snow White and the Seven Dwarfs"
None of the evil Disney characters come earlier than this. When the queen discovers that her beauty is fading and that her step daughter, Snow White, is more beautiful than her, she vows to feed on her heart in order to regain her beauty. She uses magic to turn into an old woman and gives Snow White a poisoned apple. 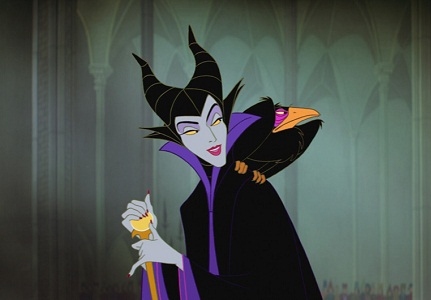 Maleficient is the villain in one of the most popular titles in Disney, Sleeping Beauty. She has devil like horns, an evil grin and even worse intentions, which put her in the list of top Disney villains. She casts a spell on Aurora out of sheer malice that would see her prick her finger and die on her 16th birthday. Jafar is the evil sorcerer in the Aladdin movie. He can turn into whatever he wants, including a snake, an old cripple and a frightening genie. He masquerades are the Sultan’s advisor while all he is after is his throne. He wants to rule Agrabah. 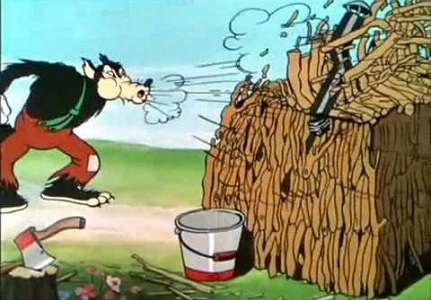 Big Bad Wolf from "The Three Little Pig"
The protagonist in the 3 little pigs, Big Bad Wolf strongly believes that wolves should be bad. He disguises himself in order to fool the 3 little pigs. He pulls all sorts of crazy stunts in order to eat the little pigs. Pete from "Micky Mouse "
Pete is the fat cat who is always bothering Mickey Mouse and friends. While he is the protagonist in this title, he is not entirely evil when compared to other villains. He is a little dumb and loves food and money. He is also quite messy and likes hanging out with Mickey Mouse and friends some times. ​Professor Norton Nimnul from "Chip 'n Dale Rescue Rangers"
Professor Norton is an intelligent and creative scientist in the Chip ‘n Dale Rescue Rangers show. He often comes up with convoluted and illogical strategies to execute his evil plans. He is not completely evil compared to other evil Disney characters and he tries to go legit on occasion. However, he always finds a reason to go back to his criminal ways. 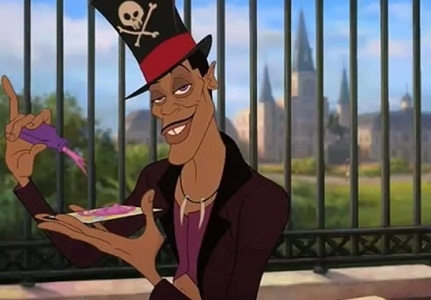 Dr. Facilier from "The Princess and the Frog"
Dr. facilier is somewhat of a conundrum – he’s not an outright villain nor is he evil. He is not in direct opposition to the hero, but is actually the hero’s buddy. His main motivation is money as he’s tired of watching all the successful people in their fancy cars and fortunes. He also has a desire to rule New Orleans and offer up souls. He is one of the more lovable evil Disney characters. 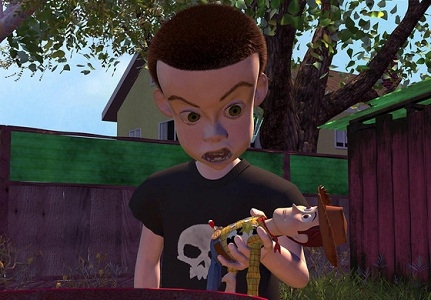 Sid Phillips from "Toy Story"
Sid Philips is Toy Story’s most hated character. He has a violent streak and likes to maim and destroy toys for his amusement. He takes them apart and creates new Frankenstein-like characters. He even has his own tool box for executing his evil hobby. Captain Hook from "Peter Pan"
Captain Cook is the main protagonist in the Peter Pan story. He is a pirate and the lord of the pirate village in Neverland. 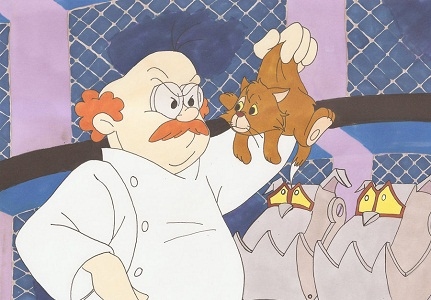 He is also the arch nemesis of Peter Pan. His only fear is the sight of his own blood and a certain crocodile. 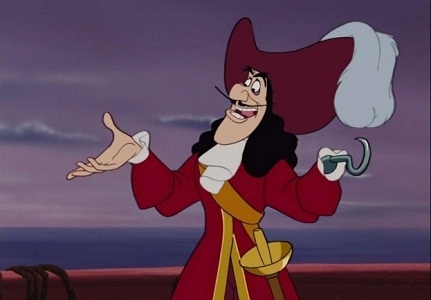 Captain Cook is one of the most famous evil Disney characters. Hades is a power hungry tyrant dubbed the lord of the underworld. He is willing to do anything in his power to dethrone his brother Zeus and take over Mount Olympus. He conspires to achieve his twisted plans by killing his brother’s son Hercules. 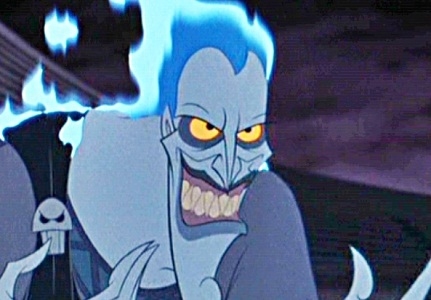 Hades is evil to the core and is probably one of the most hated evil Disney characters. Server responsed at: 04/25/2019 12:04 p.m.